Overlook is the premier sports bar in Midtown and is NYC’s home of the Chicago Bears. We have over 30 high-definition flat screen TVs, a stellar roof top deck that boasts two giant screens, and a great sound system. Join us for all the games and Bear Down! 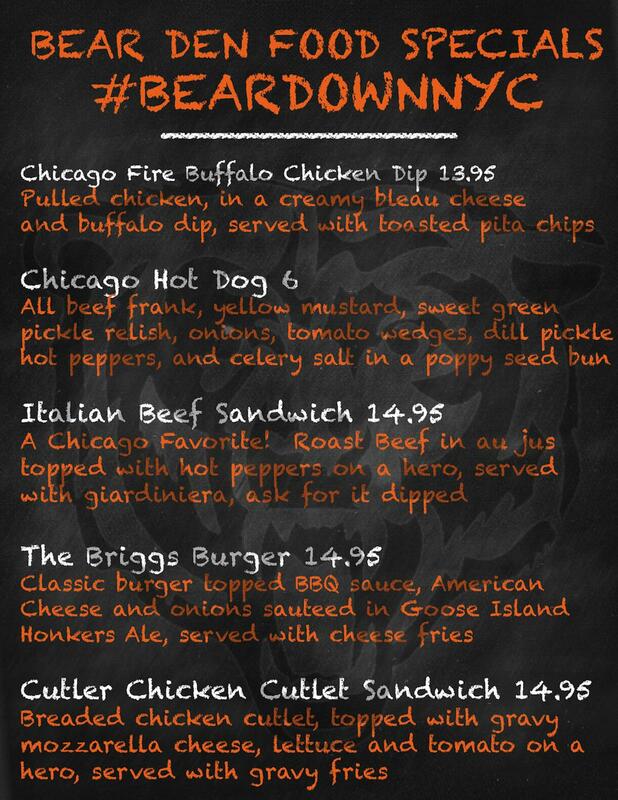 Grab a shirt and come down to watch every Bears Game with us at Overlook Bar in midtown Manhattan. Overlook is the Largest Bears Bar East of Chicago! You might have seen it recently on Ashton Kutcher and Mila Kunis after watching the Bears Game with over 200 other die-hard Bears fans at Overlook Bar(44th bet 2nd & 3rd Ave) in Midtown.